Since we last spoke, I’ve been madly at tapping the keyboard and producing the beginnings of some content; getting some pictures up; pasting in some quirky quotes from the various movie characters. So now I’ve got actual film pages on the site. 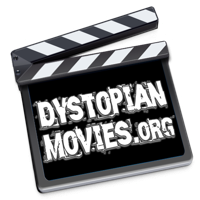 Not very many, admittedly, but we’re moving in the right direction – it almost qualifies as a web site about films. Anyway I really want to get started writing reviews for some of these films because, wow, there is lots to say. It can get very interesting when you trace the threads, pull apart the message, and look into the background. Even the films that are just ‘a bit of fun’ you can still find some social messages and some intrigue in there if you’re looking. Writers block, (and technology failure), means I only have one review up so far, V For Vendetta, but I’ll get cracking with more of those next as we’ve got a healthy number of pages ready. I’ll add a ‘Reviews’ section to the menu, so they’ll be easier to find. In the meantime, I’m afraid you’ll have to amuse yourself by dribbling the mouse pointer round the screen, hovering over the faces, to get those random character quote popups. While I was putting together the pages about Blade Runner and The Matrix I had another minor revelation. There are stacks of different DVD releases for some of these films. It’s crazy! Not to mention very confusing. So another thing I’d like to add is a little ‘releases’ guide for each film (especially those two guilty ones, above). That way you know which particular package to get if you want to see ‘the Director’s Final Final Cut With Added Extras and all the bits put back in that he deleted and then changed his mind about’.